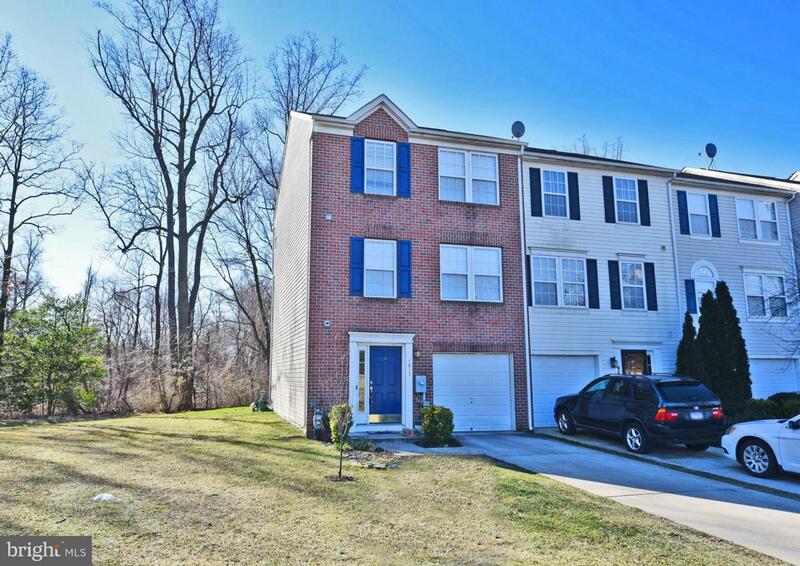 Over-sized brick-front 3 bedroom 2 full 2 half bath end of group town in Eagle's Landing at Waters Edge. Enter on lower level in foyer with powder room, closet, garage access, and family room. This spacious area offers slider to patio at rear, which backs to trees. The mid-level is the main with kitchen in the front, living/dining combo, and bump-out offering additional living space complete with cozy fireplace. This area offers hardwood floors and a slider to rear deck overlooking the yard and the larger corner lot. Kitchen is loaded with tons of cabinets, recessed lighting, and features eat-in table space. There is a powder room located by the stairs and a pass through to the dining room from over the sink area in kitchen. Third level offers three bedrooms. Two bedrooms in the front of the home serve as second and third bedrooms. Hall bath sits between these two bedrooms and the master, which is in the rear of the home. Master offers tons of space and large closet. Master suite features soaking tub and separate shower. Lots of square footage to maximize in this end unit! Great proximity to main thoroughfares for commuters and close to Aberdeen Proving Ground. Shopping, restaurants, and waterfront are all close by! Come see today! Listing courtesy of Compass Home Group, Llc.